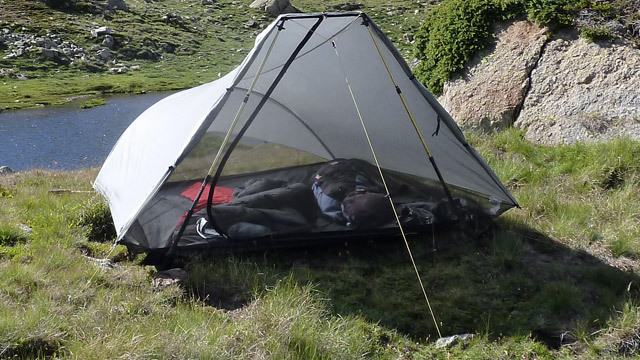 Ultralight Family | Ultralight backpacking for familes by families. The boys and I spent 3 nights with friends in the Shining Rock Wilderness Area recently. It gave my oldest son, Ben, about 12 miles of experience with this new pack. I plan to soon do a trip report of our time in this popular area with good friends. Ben was carrying 19.5 lbs, water bottles filled. And he was wearing short pants, long sleeved shirt, lightweight boots and a sun hat. He is seen in the picture with the red pack. This trip was made without the frame sheet/aluminum bar in the pack. It seemed supportive enough with them. Ben’s main sentiment about using his new pack is summed up as “awesome.” This was his first time with a pack with a padded hip belt, and he also carried more weight because of that. He is a very tall, thin 10.5 year old. The fit on Ben’s very skinny frame was just small/tight enough. He had to cinch up the hip belt as tightly as possible. The padding is soft as noted in the previous post and comments, but as also noted, it works fine up to about 20 lbs loads. – The side mesh pockets are pretty tight…ideal for only narrow bottles. – The top pocket mates oddly with the load straps at the shoulders, but not really a problem. – very comfortable for Ben with a significant 19.5 lb load, and it should last him several years of growth. – Voss 0.85 liter water bottles fit beautifully in the side mesh pockets. 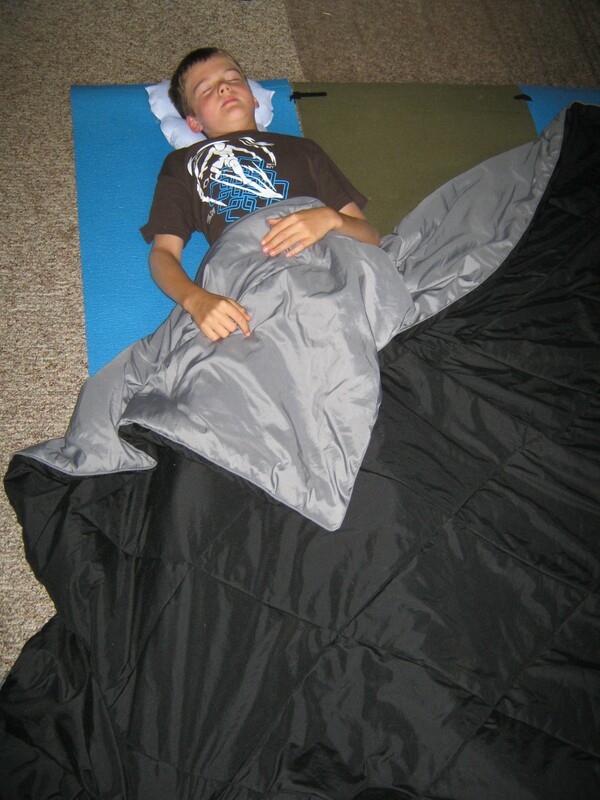 – Vertical mounting of a sleep pad works well on the back of the pack. – The small bottom pocket holds pack cover for quick access in case of rain. – Initial impressions are that durability will be good with 20 lb or less loads. All this for $59! We are, obviously, pleased with this purchase. The Asheville, NC REI store is having their MEMBERS ONLY Garage Sale this Saturday, March 19, starting at 10 AM. Besides being an REI Co-op member, you must have/donate 2 canned food items to shop. Collected food will go to the local Manna Food Bank. The garage sale is their clearance sale of all used, returned goods that they can’t sell at full price. There may be some real bargains.